Green Ops is a veteran owned and operated consulting company that has been offering specialized firearms & security training since 2005. We provide on-site training classes in the Northern Virginia area and mobile training to your location. Become proficient in defensive use of the pistol for a variety of circumstances, from basic home defense, concealed carry to advanced military and law enforcement situations. Become proficient in the defensive use of the carbine (AR platform) at close, mid, and long range, learning a variety of advanced tactical techniques. Move beyond the basic CCW requirements and become truly proficient at concealed carry. IPSC/IDPA competitors looking to improve their speed, gun handling, and marksmanship can benefit from our multi-day and custom-tailored courses. 4 hour clinic. Covers the defensive use of a full-sized to compact-sized pistol, with strong emphasis on fundamental pistol handling skills. Expand on your previous skills with this advanced pistol/carbine course. Covers equipment setup, zeroing, reloading, malfunctions, ready positions, transitions, slings, shooting positions, close contact drills while moving, barricades, barrel sight relationship, and support side shooting. 4 hour clinic. 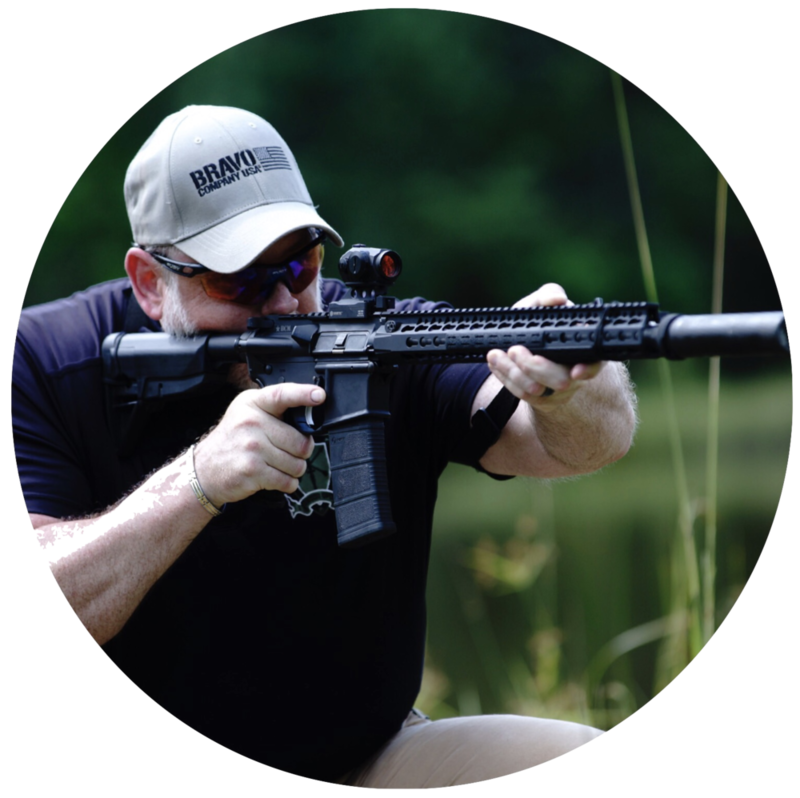 Covers the defensive use of the carbine (AR platform 5.56/223), beginning with basic marksmanship and emphasizing fundamental handling skills. We can create tailored courses for your needs. Location, length, time, and cost can be customized to your requirements and the number of students. Please contact us for more information and additional details. Military and law enforcement special operations units frequently take advanced training to be best in the field. Why should your training be any less special?